Just a really quick post before I have to race off to work. I really like the shades of green in this weeks dynamic duos colour challenge, so I just had to make a card :) I like the way my card turned out apart from maybe the sentiment being a bit large? I only recently got the Penny Black stamp and wanted to use it though! 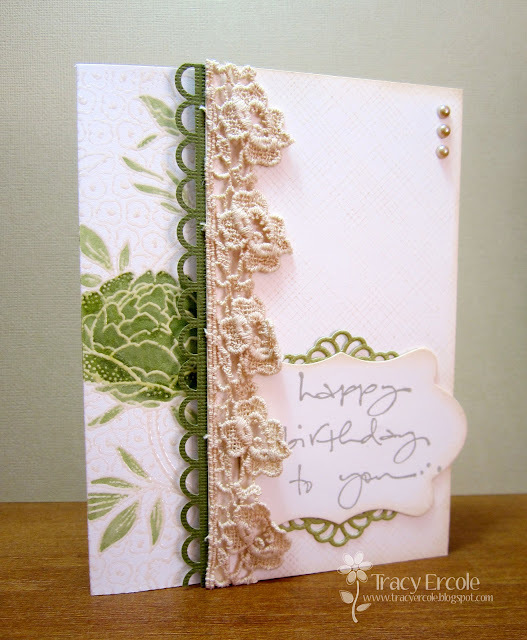 Tracy this is lovely, your shabby lace trim is divine! Thanks for playing along with us at Dynamic Duos! There are so many gorgeous elements to your card. Love the lacy trim against the punched edging. 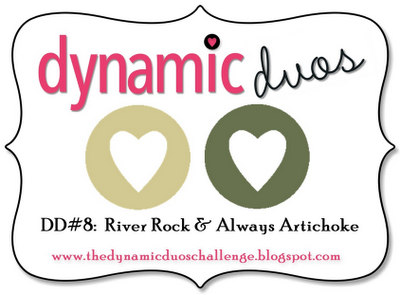 Thanks for joining us at Dynamic Duos this week. I love the layers under the sentiment...it really makes it the focus. Gorgeous trim and dsp. So glad to see you at Dynamic Duos.